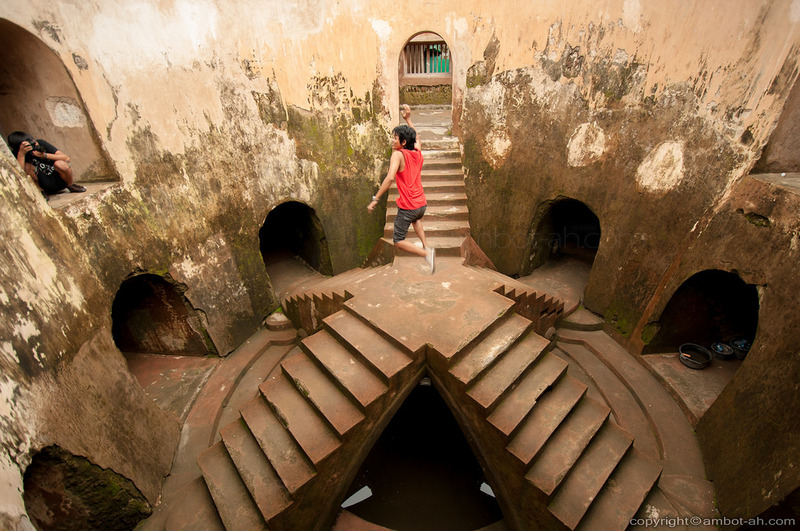 I explored Indonesia for two weeks during my three-week backpacking trip early this year. Considering this huge country trumps even the Philippines in terms of archipelagic size, I wanted to take careful thought with my itinerary. 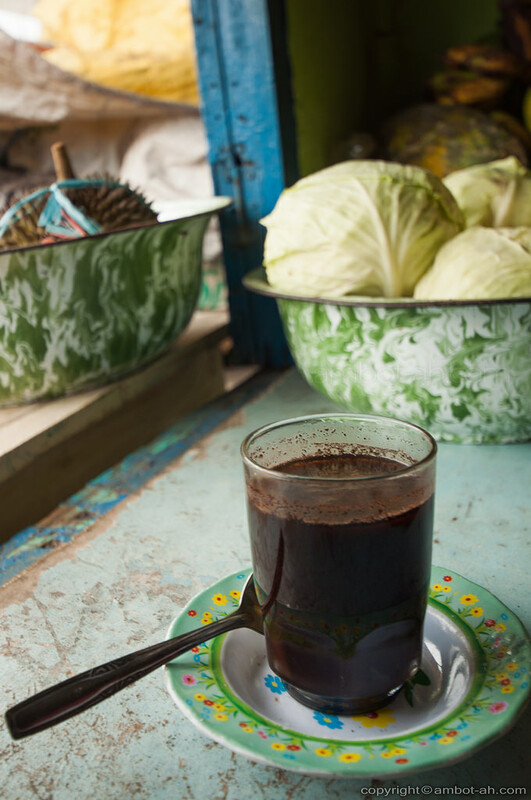 I knew two weeks would only be enough time to see a glimpse of what Indonesia offered. It was tempting to do a jam-packed “amazing race” trip to cover as many bases. On the other hand, I didn’t want to overwhelm myself skimming through too many destinations. I ended up planning a visit to only one island, Java Island. If I got the sudden urge (or have enough time) to visit another island, I told myself I can decide during the actual trip. Seeing Jakarta on Google Maps, I had my initial reservations. I remember how scared I was visiting Manila on my own for the first time. Jakarta is even bigger than Manila in terms of population and conurbation. Even today, I get the jitters whenever I explore (Metro) Manila outside the vicinity of an LRT/MRT station. Jakarta doesn’t have a light rail system, which means I have to figure out a way to move around using its extensive bus transit network. I hopped on an evening flight from Kota Kinabalu to Jakarta. 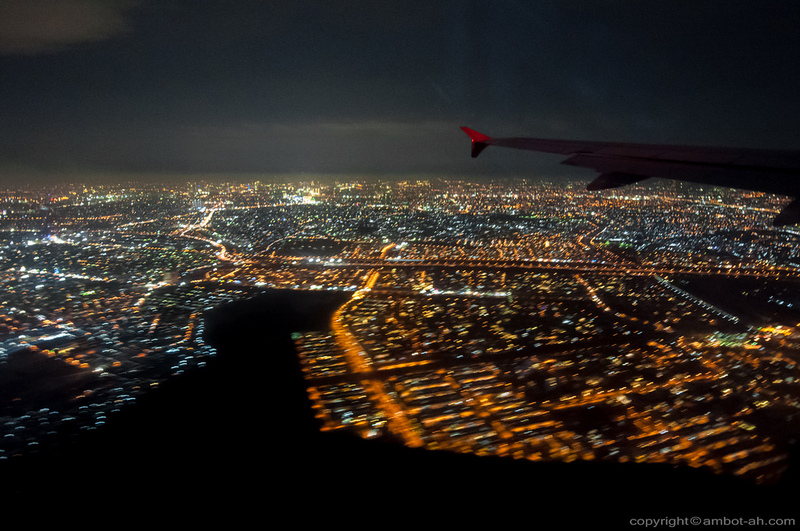 Seeing the endless sprawl of Jakarta’s night lights confirmed that it was indeed one extraordinarily huge city. 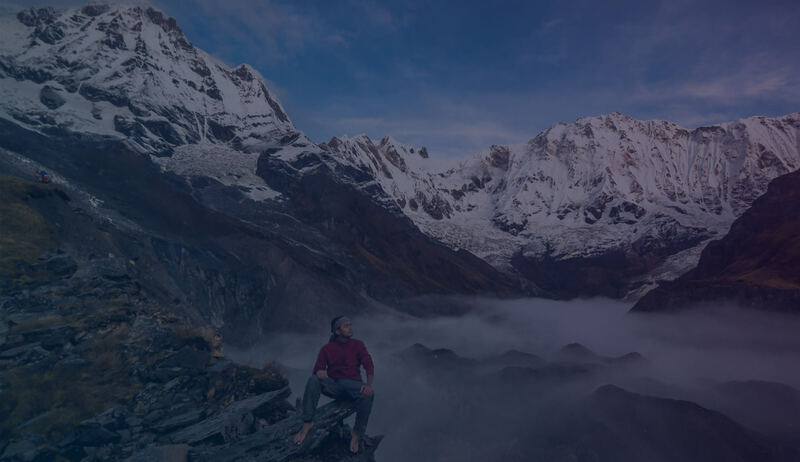 Arriving late, taking the local bus, and finding a hostel after dark, I was prepared to exhaust all the street-smarts and backpacking skills that I learned during my past travels. While I was on my actual exploration of Jakarta, I discovered that getting around was not as hard or taxing as I thought. I spent my one full day walking, mostly, along the streets and canals lined with grand Dutch-colonial buildings in Old Batavia / Kota area. 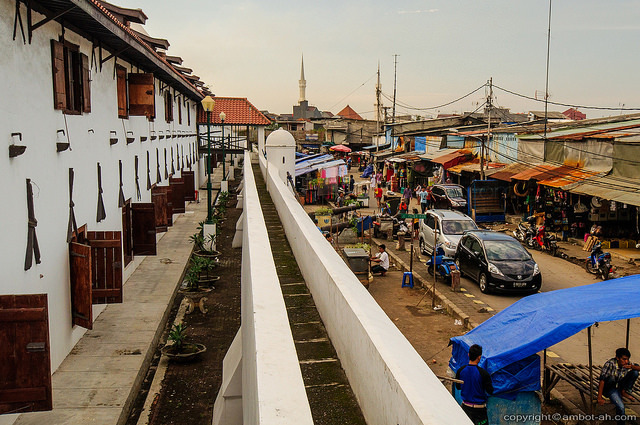 High walls of restored Dutch warehouses and the chaos of Old Jakarta’s market area. 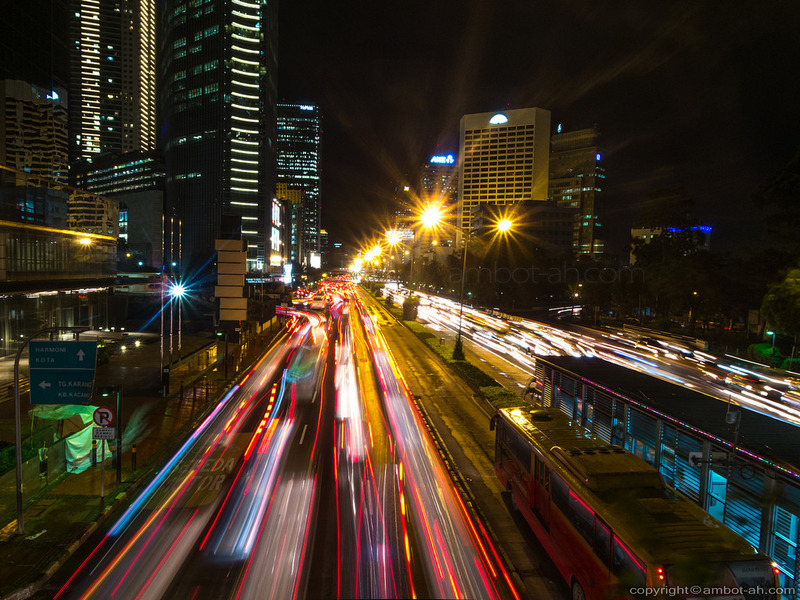 Night traffic along Jalan Thamrin, one of Jakarta’s major business and shopping strip. 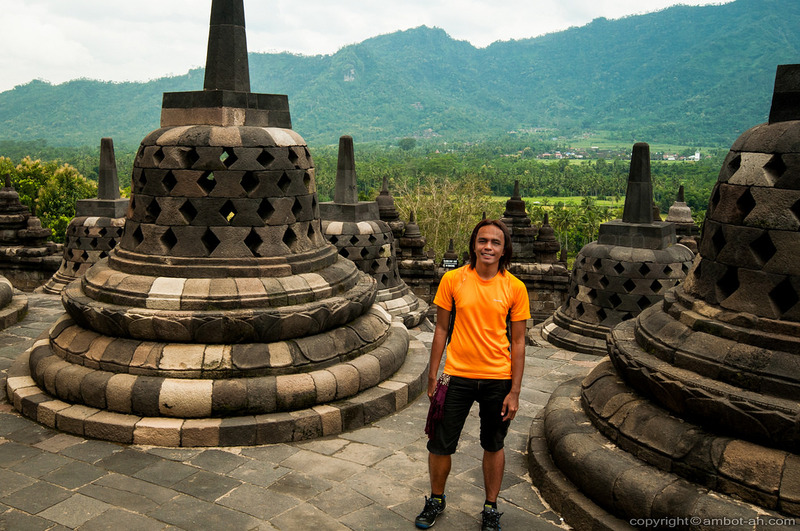 I couldn’t wait to finally start exploring Yogyakarta, my main destination in Indonesia. 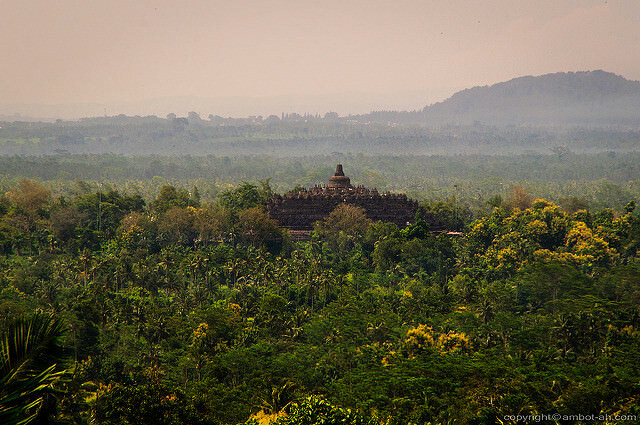 I wanted to get lost in the hidden passages of the Water Castle (Kraton), marvel at the spires of Prambanan Temple complex, take a journey to the pinnacle of Borobodur temple, and of course, soak up as much of Javanese culture. 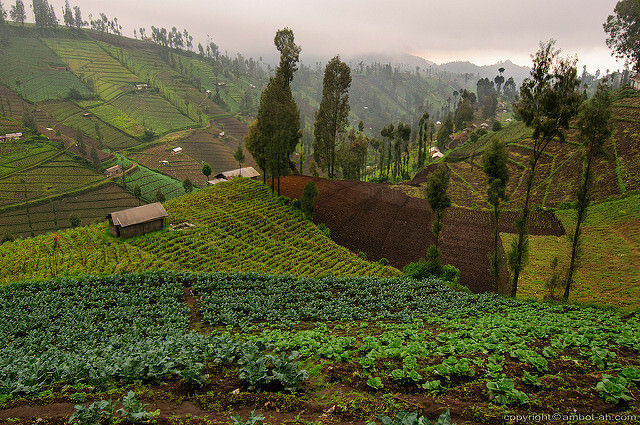 On my way to Mount Bromo in East Java, I took an overnight train to Malang (my first long distance train ride) and ventured to the highland village of Ngadas. 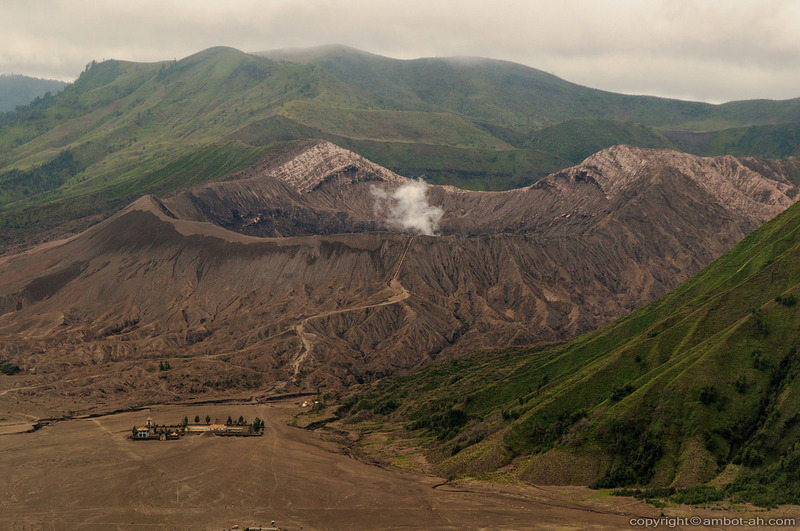 I discovered Ngadas when I was researching about alternate routes to Mount Bromo. There wasn’t a lot of information online on how to do the traverse, I only knew only that it was possible and the mountain views there were exceptionally amazing. Indeed it was! I spent one night in a homestay before attempting a hike to Cemoro Lawang, the main jump-off point to the crater of Mount Bromo. It was the height of the summer heat when I left the Philippines. I assumed Indonesia would share the same weather since it was geographically close to home. I didn’t expect it would rain too often during my trip. I eventually figured out that Java island and much of Indonesia lie at the opposite side of the equator. 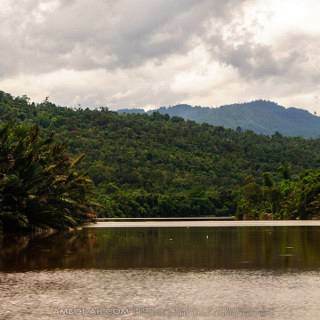 The climate cycle of the dry and wet season was reversed. I woke up to a wet misty morning in Ngadas. I was definitely having doubts pushing through with the 17km (3-hour) hike across remote mountainous areas laden with active volcanoes. I was alone, wet, and cold. 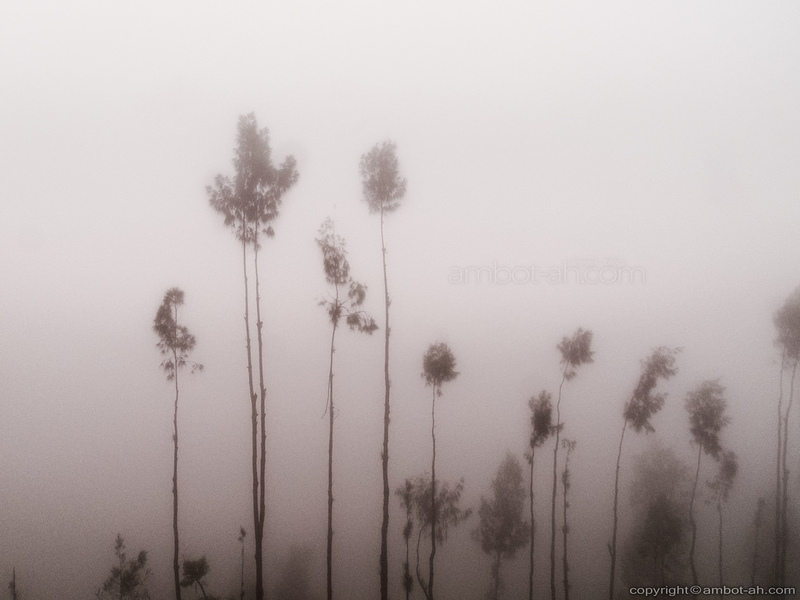 Not to mention visibility was limited to several meters and I was carrying my backpack. 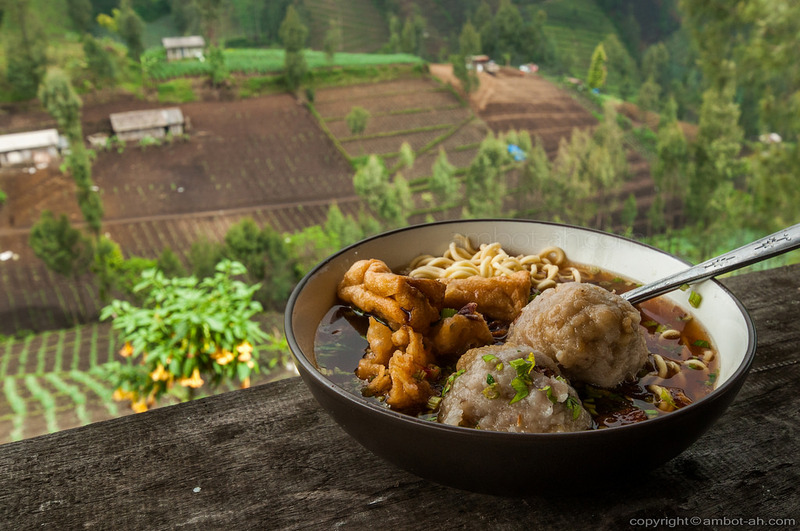 I could have actually looked for a motorcycle driver for hire, who can take me straight to a cozy room in Cemoro Lawang. I listened intently to my instincts, my “adventurer self” was shouting that I go for it. I had a good gut feeling about it. Hey, it’s not everyday that I get the chance to go on a crazy and potentially epic adventure. 15-minutes into the hike, one motorcycle driver passed by. He offered a free ride all the way to Cemoro Lawang, I was beyond grateful. When we passed by “the savannah” at the backside of Mount Bromo, I was caught breathless. I told him to drop me off there so I can experience trekking through the beautifully arid scenery and take my own pace to capture the moment in pictures. The whole time I was in the vicinity of Mount Bromo. I didn’t get to see the divine spectacle of the sun rising past the five volcanoes at the Bromo Tengger Semeru National Park. Each morning, I was greeted with too much clouds cover. It would’ve made my trip perfect but that’s what I get for traveling during low/rainy season. Originally, I wanted to see another nearby volcano, Mount Ijen, famed for its picturesque turquoise-colored acid crater lake. Unfortunately, it was closed to tourists due to high volcanic activity at the time. Bali was a couple of hours land travel + 1-hour ferry ride away. Crossing over was very tempting but with 4 days left before my flight out of Indonesia, I thought it was too little time to really immerse myself in what Bali had to offer. I decided to reserve it for another trip. 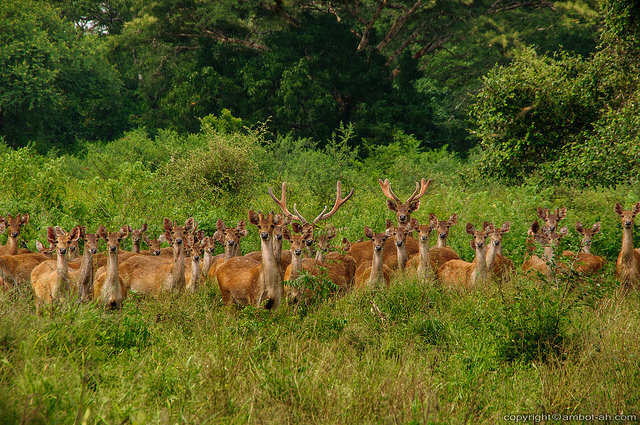 I found myself roughing it out for three days at Baluran National Park in East Java. Like Ngadas, it was relatively off-the-grid to foreign tourists (even to locals, as I was told). I was hooked after seeing a photo of its savannah. 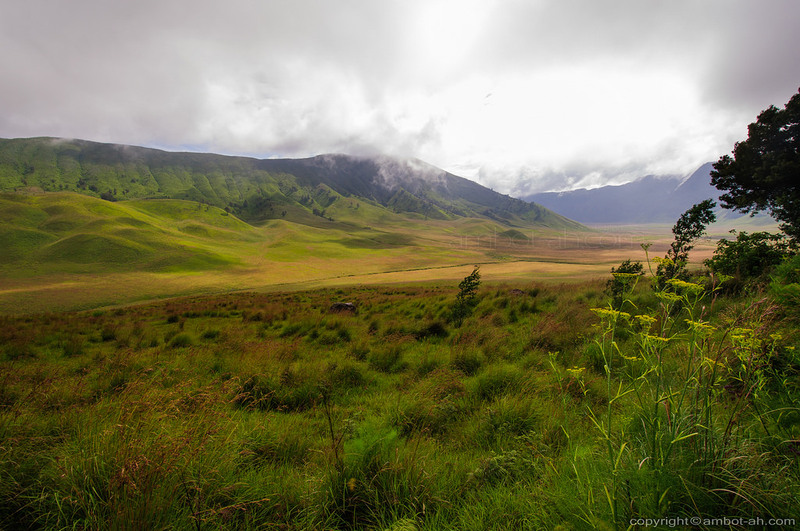 Unlike the one near Bromo, this one is located in a vast area teeming with wildlife, and diverse flora. I enjoyed stalking the wild animals the most :) I fulfilled one of my deep desires of feeling like I was in a NatGeo show. Thriving in adversity. 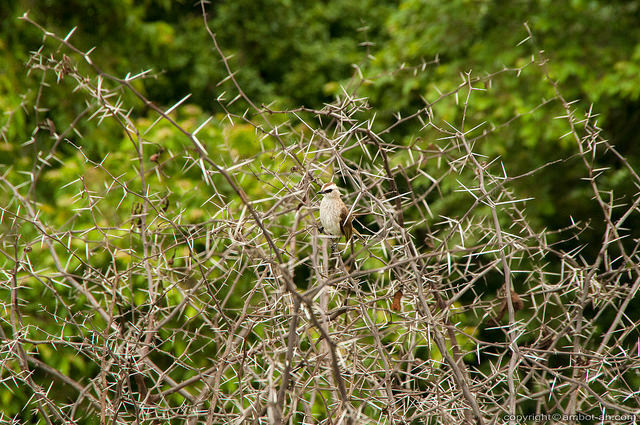 Cute bird finds safety surrounded by a thorn tree. 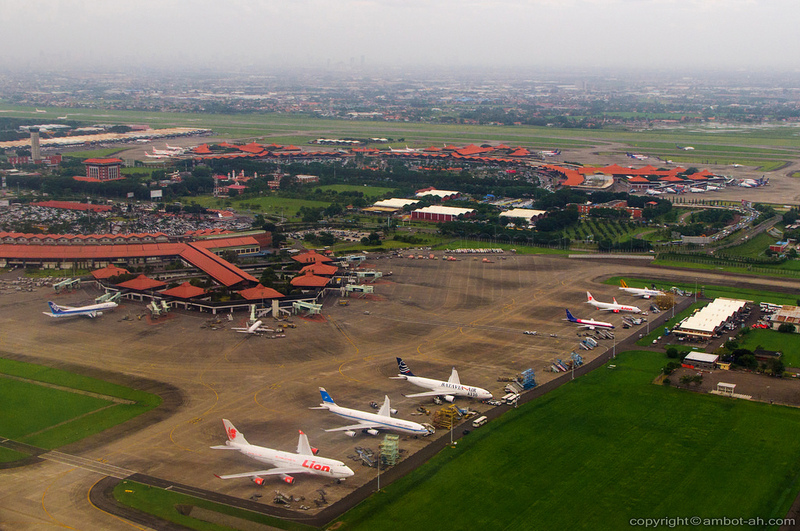 I made my way to Surabaya in East Java to catch an onward flight to Kuala Lumpur, Malaysia. When I look back on my time spent in Surabaya, its motorcycle filled streets definitely comes to mind first. It was the hardest street crossings that I’ve done in my life. The traffic just never stops. Even crossing two lane roads was a major challenge. 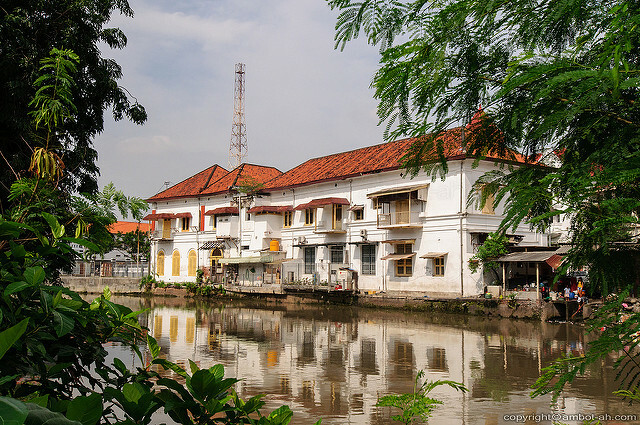 On my walking tour of Surabaya, I got to see lots of grand heritage buildings lined up charmingly beside peaceful canals. 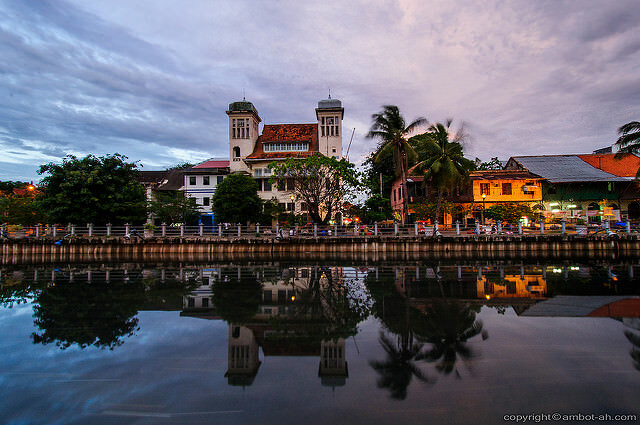 The city used to be an important Dutch-colonial trading center. Two weeks wasn’t even enough to explore most of Java Island. I’m definitely coming back to Indonesia for more! I’ll be posting more journals, photos, guides, and detailed itineraries later. 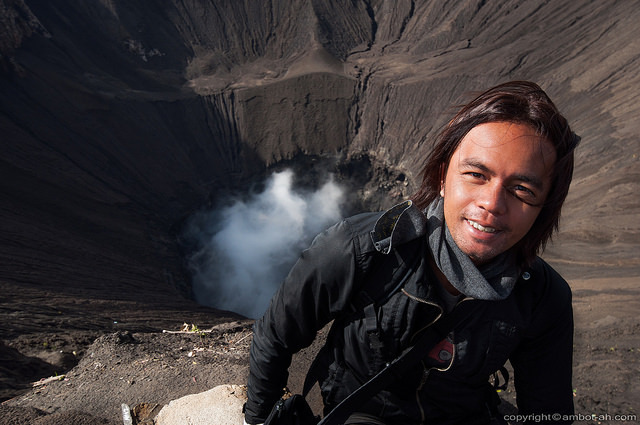 In the meantime, here’s a rundown of my backpacking trip to Indonesia. 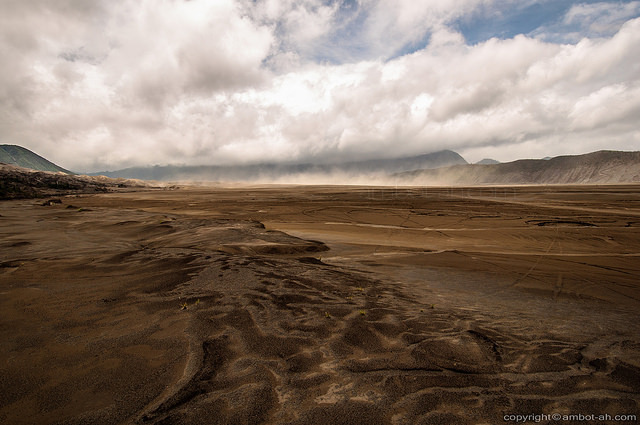 Update: I posted my DIY travel notes from this trip at Java, Indonesia Itinerary: Jakarta, Yogyagarta, Bromo and East Java. Find more posts about Favorites. 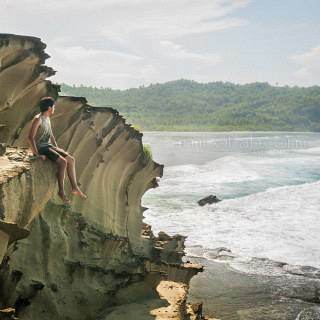 Discover more blogs and travel tips in Indonesia. Wow! I love that Life threatening Pic of you in Mt. Bromo, felt so surreal. 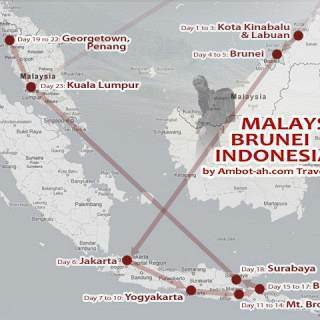 I wish I have that luxury of time to explore the Indonesian Archipelago. Even I never visited Surabaya. hahaha but your photos are amazing, cool! Thanks Febry. 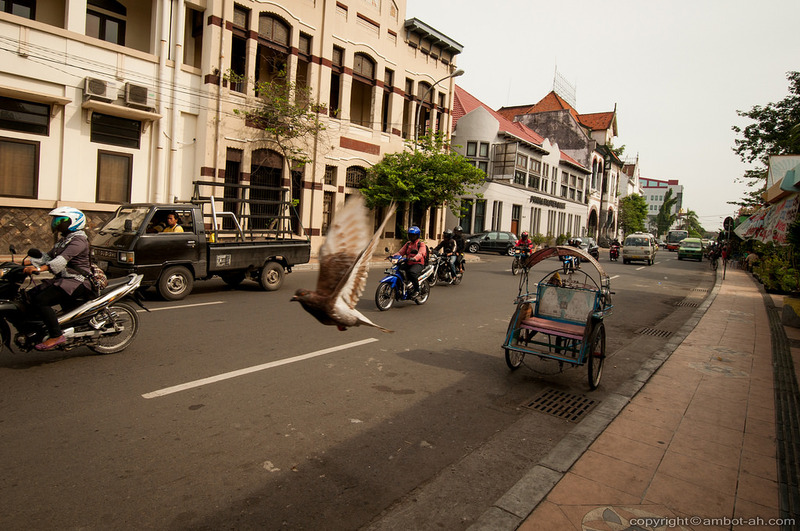 Surabaya is near Jakarta anyways, easy to visit if you wanted. I totally agree. It’s my favorite Indonesian dish. 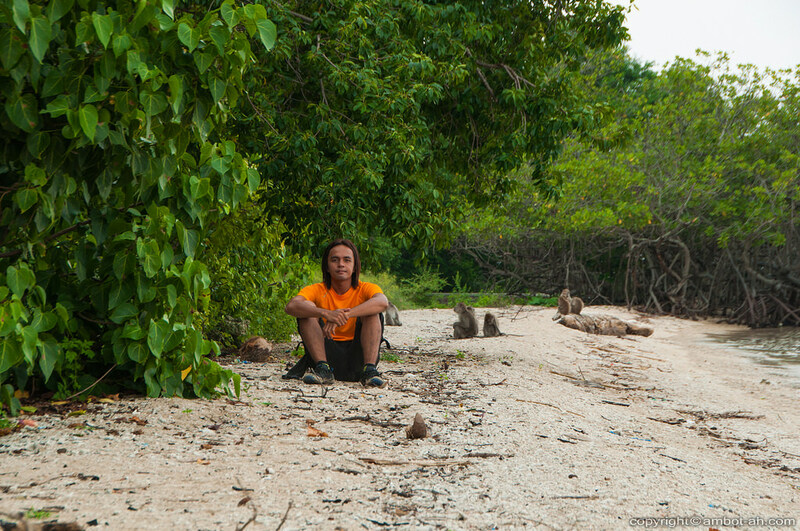 It was and I only scratched the surface (visiting only one island out of 14,000++). Thanks janet! Are there no crosswalks in Surabaya? Or they are just too far apart? I encountered a few crosswalks but, yeah, they were too far apart. Some intersections had a traffic aid guiding the motorists. They didn’t make the traffic stop when they saw me attempting to cross the street. They just blew their whistle while signaling me to cross. 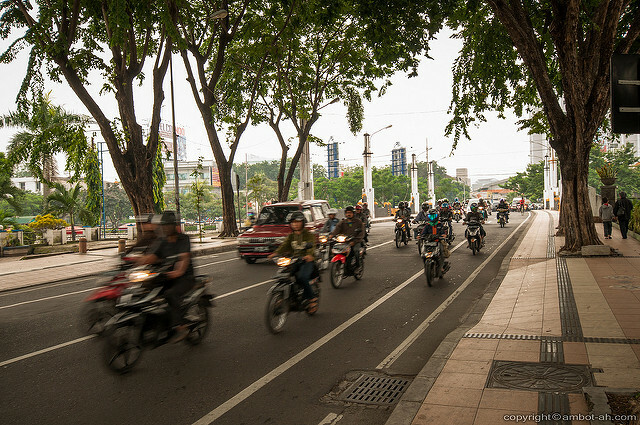 I eventually learned to cross when I saw how the locals did it… just walk normally and let the motorcycles avoid you. I encountered one crosswalk, which had the traffic lights for pedestrians (where you can push a button for the traffic to stop). Only one the whole time I was walking around the city. 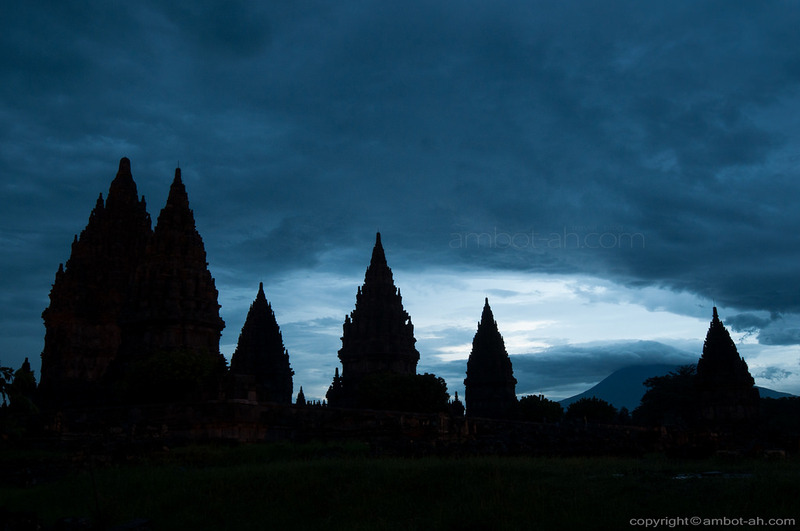 I and Marky plans to go to Yogyakarta and Jakarta next year Marcos and this post is helpful. I love the way you weave your post into one great fabric of experiences and the photos, superbly taken. So few bloggers impresses me much on their craft, in both the lens and the pen and I am proud to say, you ace them. Sayang when you came to indonesia you didn’t go to lombok and komodo island. Many beautiful place there. Next time when you come to indonesia, you should go to lombok and komodo. Thanks Mark. You could see a lot of places already with 7 days in Java. Have a safe trip! Great write-up dude. I’m planning on a trip through Bali and Java next year. Great insight!